Eating out is one of my favourite things to do. Every chance I get, I'm out with friends or the other half for dinner. I've been to Belgo twice this June, having never heard of it before my first visit, and it's safe to say I have become a bit of a Belgo fan. Belgo is a Belgium restaurant specialising in coveted moules, famous double cooked frites and a selection of unique beers. 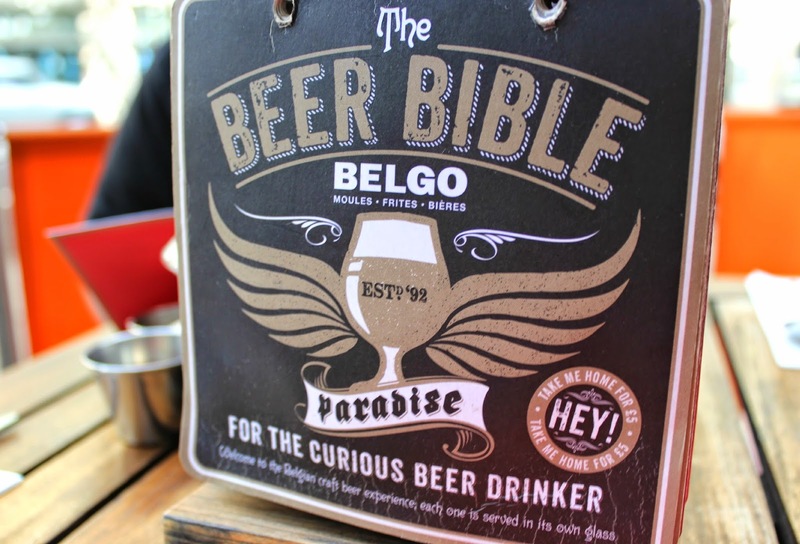 With four London locations, Belgo is yet to expand to other areas of the UK, but if you're planning a visit to London anytime soon, I'd highly recommend. 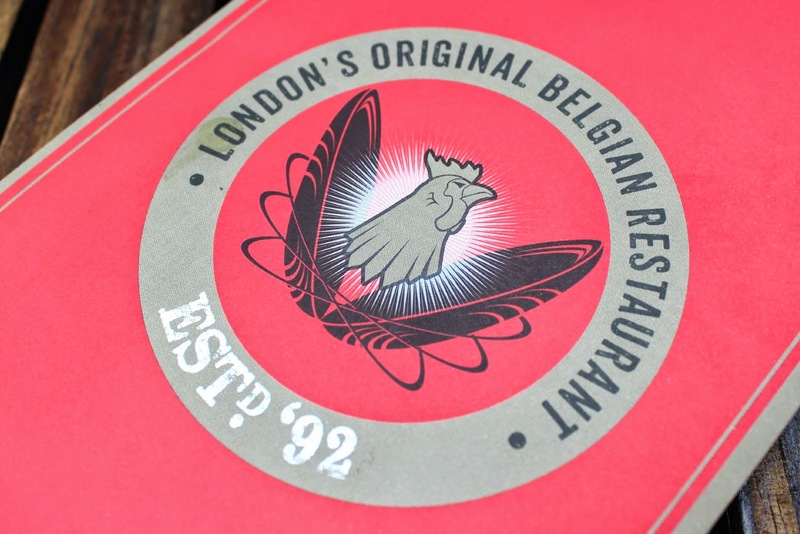 I've visited two of the London locations; the Belgo Centraal Covent Garden branch and the Belgo Kingsway branch. Of the two, the Covent Garden branch was my favourite for sheer decor and where the restaurant is situated; underground, with a real medieval yet modern feel. The Kingsway branch felt more like a pub than a restaurant, but with incredibly attentive and welcoming staff; service with a smile! Both visits I've made to Belgo, I've had the same starter. 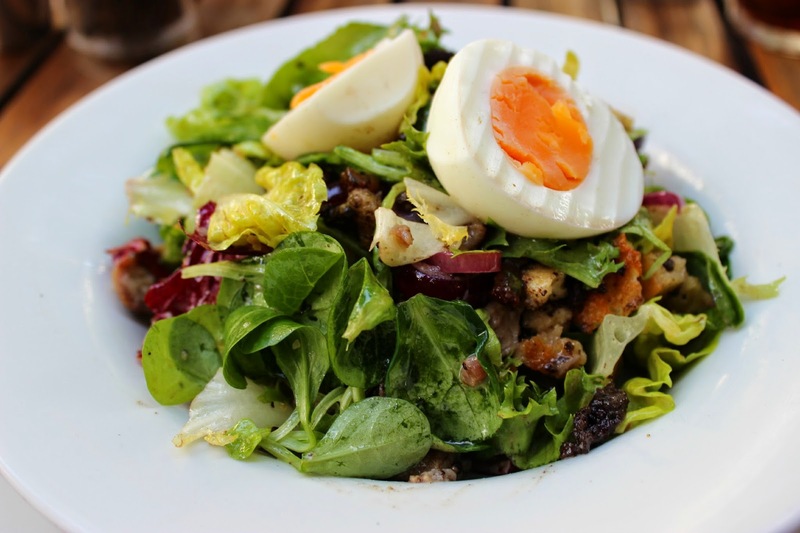 The Confit Duck Salad, described as a soft boiled egg with smoked lardons, black pudding and giant croutons. That description does it no justice at all! The Confit Duck Salad is easily one of the tastiest salads I have ever had the pleasure of elegantly shoving in my mouth. The duck is perfectly cooked, as are the lardons and black pudding. The croutons are the perfect size, crunchy and work wonderfully with the rest of the dish. A gorgeous mix of salad, a dash of dressing and you have what could easily be my new favourite dish. Obsessed. For my main, I broke the rules and opted for something different to my usual steak habit and tried the Crisp Pork Belly, described by Belgo as crisp pork belly with Belgo's very own apple sauce, buttered spinach and stoemp mash (mash which is made with creamed potatoes, carrots, savoy cabbage and leeks) I love pork, and I love crispy pork, so my mouth and tummy were pretty darn happy to see that it was not only presented beautifully, but tasted divine! 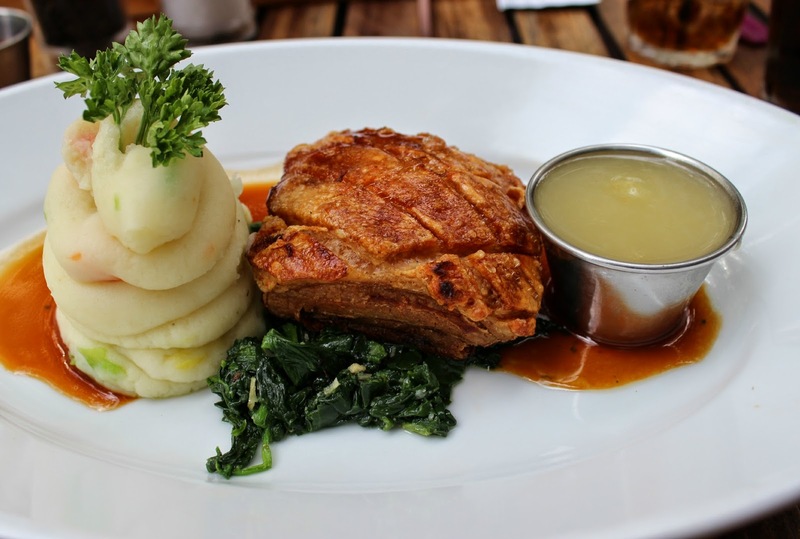 The pork was perfectly cooked, the mash was incredibly creamy and I loved the accompanying sauces. The first time I visited Belgo I was a complete steak fiend and opted for the 35-day aged 8oz sirloin steak with peppercorn sauce, Belgium frites and a salad. Quite easily the best steak I have ever had - I have my steaks rare and Belgo seriously wowed me with how perfectly cooked my steak was. I shall definitely be visiting next time I am in London. My family are from Belgium, so I love this kind of food.